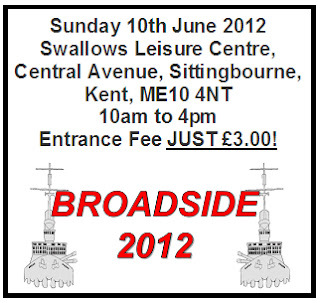 Two of my fellow bloggers, Fran and Ray are participating in Broadside 2012 along with their fellow Rejects (the name of their group), but the organisers of said show have hit a snag. It seems that certain magazines have let them down and failed to put the advertisements for the show into print in time for the show. 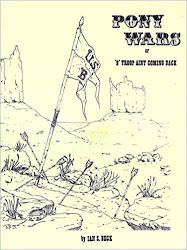 When I attended a wargames group in Durham many years ago we had similar problems, so I know how frustrating it is. The cry went out for help in advertising the show and although I doubt gettting the message out to my thirty or so followers (and any others that peruse m,y page) will have any effect, at least I can say I tried. If you have been watching my blog page closely you will have gathered that I don't change my "Currently Reading" sidebar that often and there's a good reason why that is. Zombie novels rarely "grip" me and generally speaking I'm not that into reading novels (of any genre); however there have been occassions when I've been truly surprised and engrossed by a book. I think the last zombie novel that had a similar effect on me was probably "Feed" by Mira Grant, a book that I couldn't put down and didn't want to end. 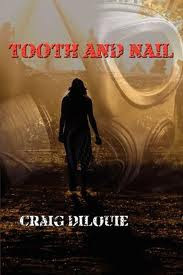 "Tooth and Nail" by Craig DiLouie had a similar effect on me, I read a couple of the initial chapters (setting the scene, introducing the main characters etc.) and my initial thoughts were that "This is promising". Once I got through the fairly brief initial part of the book the pace of the story seemed to quicken and with each new element introduced the need to find out what happens next increased. Now normally I'll read a chapter or two of a novel, leave it for a while and come back to it, but with this book I really couldn't. I'd read the inital couple of chapters or so in two days and the rest of the book in a day, I'd found it that engrossing. The story of how the apocalypse itself came about is not particularly original, but the background detail is believable, as are the characters. All the action takes place in New York, on Manhattan island and the author's style of writing creates the huge metropolis and the inherent problems it creates during the crisis. "Tooth and Nail" doesn't suffer from the pitfalls that many other zombie novels do, that of poor editing, proof reading and such (which at best can detract from a read and at worst really destroy it). As such this book rates highly on my list as one of the best novels I've read and I don't hesitate to recommend it - Its definitely a 5/5 ! In other news, I haven't been slack on the painting front either with another dozen figures finished and a similar number almost completed, but they will have to wait until next week ! Thanks, once more for looking; all comments are of course welcome and appreciated. Finally to any new followers that I haven't already welcomed - "Welcome !" Hi Joe, Thanks for the BROADSIDE mention. It really is appreciated. I am one of the show organisers and can confirm that one of the magazines (WSS) has contacted me as a result of all this blogging and are now working with us to promote the show. No problem Clint, I do hope it's a case of "Every little helps"
A good review, Joe, and if you rate this as highly as "Feed" then I simply have to buy it. I've enjoyed nearly every novel that has been recommended to me by others, so I have high hopes for this one. I hope you're not disappointed with it when you get to read it; I'm sure you will enjoy it. I've got this on audiobook but i've yet to listen to it. I'll bump it up the list abit. Thanks for the recommendations Brummie, I guess I'll have to add them to my list as well ! Tooth and Nail sounds like a great book. I'll have to see if they have it for the Kindle. Thanks for recommendation. I hope you enjoy it as much as I did and yes its available on Kindle, my first stop for all books these days.